YouTube Heroes is the program launched by the YouTube to appreciate the users of the YouTube by helping as a volunteer. YouTube Heroes is the unique program that has been being as the icon of the YouTube. YouTube launched the YouTube community which is like its social network, and it is now it started a new program called YouTube Heroes. Through this crowdsourced moderation program, the company is asking to flag inappropriate content, add subtitles and respond to questions asked in YouTube help forum. YouTube says those volunteers who participate in this program will receive perks, a preview of product launches or access to workshops. What is YouTube Heroes Program? YouTube did not officially launch the YouTube Heroes program. But it posted a video which provides details about the work YouTube wants the volunteers to do. The volunteers will be given access to the flagging tools using which they can check many numbers of videos at a time. There will be an online dashboard for the Heroes to work. They can use the Hero hangouts, according to the video posted on YouTube. They can even sneak peek at the products that are launched and try them. They even have direct contact with the YouTube staff. YouTube heroes gave points for the work they do and the Hero Level determine the number of points they earn. Here is how they can earn points in this program. Writer a subtitle and earn one point. They can flag any individual inappropriate video and earn a point. They can even answer questions in YouTube forum. If their answer chose the best answer, they would earn ten points. There are one to five levels. The heroes can unlock rewards also. In Level , the dashboard of Heroes is unlocked. In the second level, they trained through workshops and video chats. Super tools unlock in the third level, and they can mass flag videos. In the fourth level, the Heroes will be allowed to talk to YouTube staff and get a sneak peek at the new products. The highest level in YouTube Heroes program is Level 5, and in this level, the Heroes will get access to perks. They will also be allowed to test new features before official release. Users with zero to nine points are on the first level. Below 100 points is the second level and 100 to 399 points are the third level. 400–999 points is the fourth level, and one thousand plus points are the fifth level. 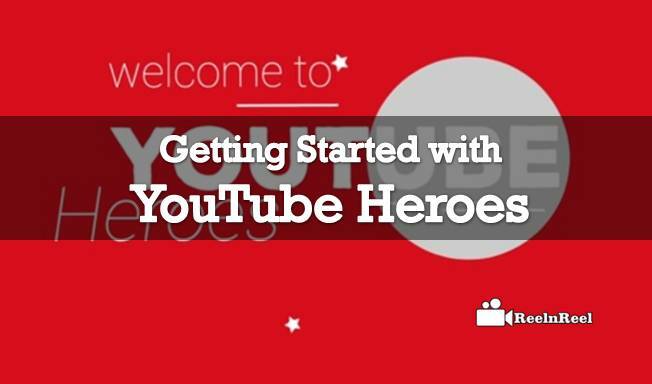 To join the YouTube Heroes program, one must have their own valid YouTube channel. Interested should be of legal age, and they must agree to the terms and conditions of the program. Government officials, government-controlled companies, political parties etc. are not eligible to sign for this program. Those who join the Heroes program will receive great perks. They can learn at exclusive workshops. YouTube heroes can help other people to receive perks. YouTube be encouraging the users to moderate the site through this program. There are a lot of negative content and comments on the site and YouTube wants to control them. Any one is with legal age are eligible to apply for this program and this is a great chance for those who are interested in joining the program and receive great perks. YouTube Heroes program is currently in beta and there can be a lot of changes coming. It has to be seen how the users will respond to this program. A few days ago, YouTube launched the community tab using which the content creators can send text messages, share photos with their subscribers. They can even share the live videos with their followers and subscribers. Now with the YouTube Heroes program, the video sharing platform wants to give the best experience to the users.